It’s time for us to give a big shout-out to our tourism colleagues at the state level. Durango and other Colorado destinations rely on, and greatly benefit from, the state’s $19.5 million investment in tourism promotion by the Colorado Tourism Office in Denver. Colorado ranks near the top of aspirational destinations for visitors (just after California, Florida, New York, Hawaii and Arizona). But being a dream destination isn’t enough. Study after study shows that travelers are strongly influenced by tourism marketing, and remaining competitive is a challenge. Though Colorado ranked sixth among dream state destinations in 2016, its tourism promotion budget of $19.5 million ranked 13th. Neighboring Utah spent $21 million, Oregon $33 million and California $120 million. Economically, state-sponsored tourism promotion is a revenue generator for all. Travelers to Colorado in 2015 generated more than $19.1 billion in direct spending. Visitors generated a record-setting $1.13 billion in state and local taxes in 2015, a 7.8 percent increase over the previous year. If this level of state revenue had to be replaced, each of Colorado’s 5.46 million residents would have to pay an additional $207 in taxes. Tourism is a people business. The hospitality industry is Colorado’s third-largest employer, with travel spending generating more than 160,000 jobs and paying out $5.5 billion in payroll. Nearly 1 in 10 jobs in Colorado are hospitality-related, and we’re growing. Tourism is expected to generate more Colorado jobs (12,100) in 2017 than any other industry, including education/health services and construction. At the local level, 2016 was the sixth straight year of gains in sales and lodgers tax. Investing in tourism promotion produces a healthy return on that investment. In 2015, every $1 invested in advertising placements returned $479 in spending by visitors who were influenced by Colorado tourism ads. Here at home, for each dollar the Durango Area Tourism Office spends, $10 is returned to local sales tax coffers. Recent research confirmed a strong connection between a dynamic tourism campaign and future economic development. In a study including nine destination marketing organizations across the nation, tourism advertising combined with visitation significantly raised the overall image of Colorado in the following categories: a good place to live, a good place to attend college, a good place to start a career, a good place to retire, a good place to start a business and a good place to purchase a vacation home. 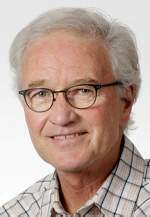 Certainly many current residents of La Plata County can relate to recalling when they first visited the area and later became a local. Tourism professionals across the state are focusing on responsible tourism and a balanced economy in each of their destinations. Included in Durango Tourism’s 2017 plan are several initiatives that focus on improving shoulder season business in order to fill more beds during times when our tourism-dependent restaurants and retailers need an economic boost. Yes, we’re proud of our Colorado tourism industry and not afraid to tip our hat to all our tourism partners big and small.